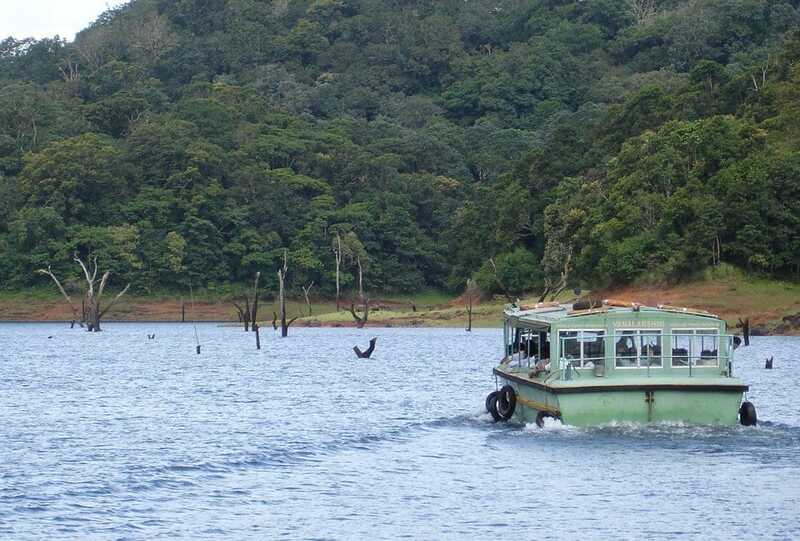 I can’t tell you how much i had been looking forward to this holiday in thekkady. 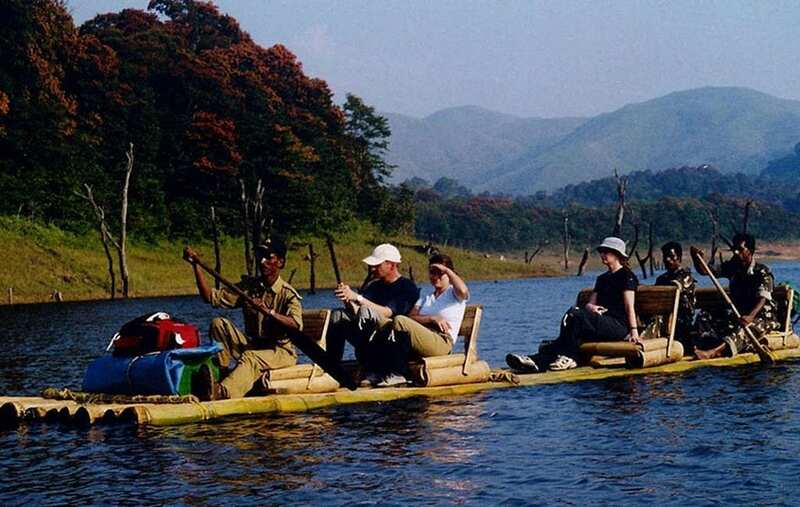 Iwas planning this holiday for months and i was especially looking forward to the bamboo rafting experience on the periyar which meanders through the periyar tiger reserves. So there i was, waiting excitedly like a kid, on Christmas morning of the expedition to begin. We were a group of ten tourists and we were led by the forest officials (an armed guard and tour watchers). The trek began at 8 am, traversing through the forest trail from the boat landing area; we were given a screeching Welcome by the nilgiri langur from the tree tops. It was as if he were giving us the right of passage throught his forest. To be honest i was a bit scared. The thought of venturing out into the wild was a bit intimidating. 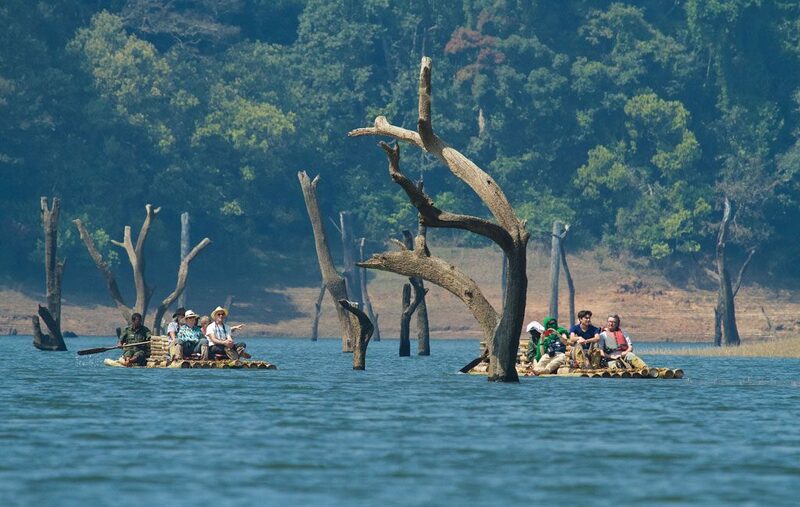 It was a five kilometre trek throught the woods till we came upon the are of the periyar lake from where we would board our bamboo rafts. The trek through the forest was a great experience. I happended to see a snake hurting right past me. I was a bit startled. One of the watchers tried to comfort me by saying it was not a venomous snake. Nevertheless i was a bit shaken up ! 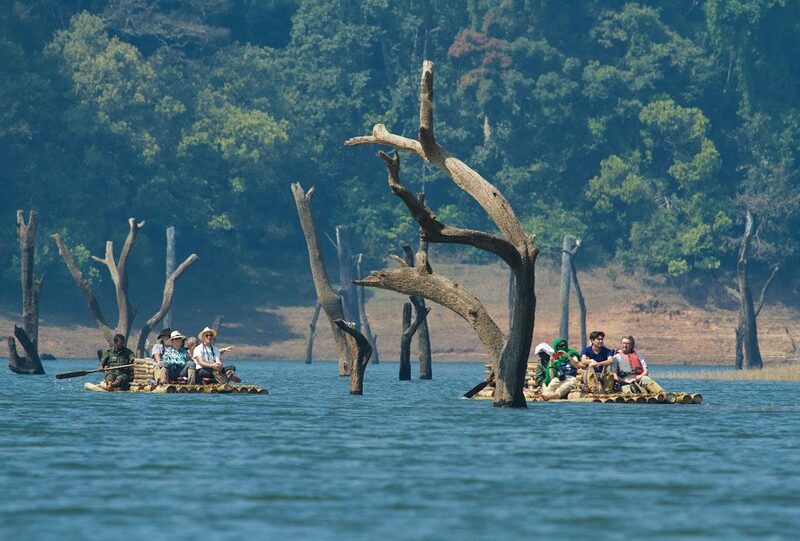 We boarded the bamboo rafts and began our journey along the periyar river. Our guides told us to keep an eye out for the wildlife as we drifted along the river. Our changes of sighting wildlife were pretty good because we were travelling along the river which is a source of water for the animals. As luck would have it, we came upon a stretch of the river, where we saw a couple of wild gaur on the river bank. The trek back to the boat landing was a bit arduous but it was full of breathtaking, picture postcard views. Our trekking party was back at the river boat landing by 5 in the evening. The entire day was an amazing experience. Trekking through the forest, watching the huge trees i could sense that each of them would have a thousand stories to tell and that a lifetime spent traversing these woods would not be enough to finish listening to their stories. Also i got sense that we humans would defile the sacredness of that forest with our presence there. But in many ways it brought me closer to nature. I gained a better appreciation of the things that really need to be preserved and protected.